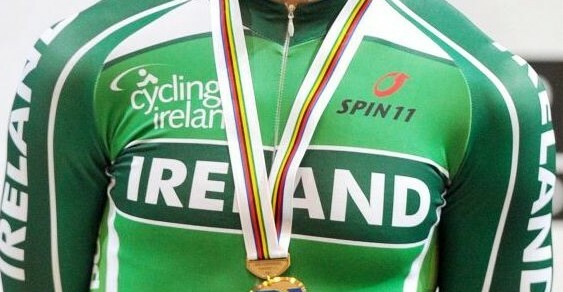 Irish cycling has done well in the funding announced by Sport Ireland. More cyclists are funded than those in any other sports bar one. And the total sum received by cycling is the third highest of the 15 funded sports. More Irish cyclists have been awarded Sport Ireland funding for 2019 than athletes in any other sports bar athletics. Sixteen riders will share €268,000 in the year ahead. The sums range from €60,000 for the paralympic champions Katie George Dunlevy and Eve McCrystal to €12,000 for a number of others. While one tandem pairing has received the top sum of €60,000, another tandem – Martin Gordon and Eamonn Byrne – have had their recent progress rewarded with €30,000. Five riders have been awarded ‘world class funding’, or €20,000 each. They are: Felix English, Lydia Boylan, Lydia Gurley, Robyn Stewart and Mark Downey. A third paracycling tandem – Peter Ryan and Sean Hahessy – have been awarded €18,000. And five other riders have secured ‘international’ funding, or €12,000 each. Those five are: Marc Potts, Shannon McCurley, Kelly Murphy, Ronan Grimes and Damien Vereker. In total, some 24 Athletics Ireland athletes have received funding and will share €460,000. That is the highest for the number of athletes funded and the largest total amount of any sport. Cycling Ireland athletes are next in terms of numbers of athletes per sport funded; some 16 sharing €268,000. Swim Ireland is next in terms of the numbers of athletes funded; 15 swimmers sharing €240,000. Ten Rowing Ireland athletes are funded; their total sum of €290,000 is the second highest total sum of all sports. That arises because a relatively small number of rowers are regarded as having very realistic prospects of medaling at major championships and so have each been awarded large sums. Former world champion paracyclist Colin Lynch has unfortunately lost his ‘world class’ funding of €20,000 that he received last year. And while the U23 men’s road team was awarded pool funding of €10,000 last year, that is now lost. The women’s team pursuit line-up, despite their rapid recent progress, has also lost the €20,000 pool funding they received during this round of Sport Ireland funding last year. You can review the full carding breakdown revealed today by Sport Ireland by following this link. We’ve outlined the cyclists funded below the total sum awarded to each sport, with the number of athletes funded in each sport also included.